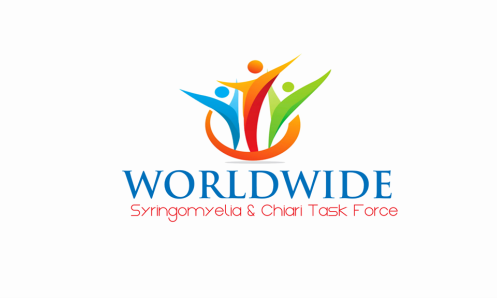 WORLDWIDE SYRINGOMYELIA & CHIARI TASK FORCE INC.
Includes informational tools and resources for our members. The chart and database include physicians of various specialties who have treated or are willing to treat men, women, and children with Syringomyelia, Syrinbobulbia, Chiari, and the associated conditions. The chart and directory do not serve as an endorsement by physicians listed to WSCTF and they do not serve as an endorsement by WSCTF to physicians listed on the chart or database. They are available for informational purposes only. Why is the Syringomyelia & Chiari Multidisciplinary Physician Chart, Database and Network Needed? Syringomyelia and Chiari can cause widespread symptoms with complications that can encompass multiple body systems. Additional providers can help manage symptoms over the patient's lifespan. More than one specialty is often needed to help care for children and adults living with Syringomyelia, Chiari, and their co-existing conditions. We strongly support the collaborative effort of primary care with neurosurgery to lead the treatment team for men, women, and children with Syringomyelia and Chiari because patients frequently require ongoing care, prompt referrals, and reassessment over their lifetime to have the best quality of life. The directory will be maintained by WSCTF. The physicians on the directory will be listed by state or country, and area of specialty. We have a verification process detailed below. We are always happy to list medical professionals who observe excellent clinical care and observe excellent bedside manner on behalf of men, women, and children with Syringomyelia, Syringobulbia, Chiari malformation, and all of their co-existing conditions. Please note: All physician names are verified for authenticity (verifying active licensure) and good standing with their medical board before being added to the state chart or database. We will then list the physician on the Syringomyelia & Chiari Multidisciplinary Physician Chart or Database by state or country, and area of specialty. This list will be kept up to date and will be reviewed at minimum once per year by the board. For any questions please email wstfcure@wstfcure.org. 1. A physician has had their license suspended or revoked by their medical board. This applies at all times. 3. A conflict of interest arises that would jeopardize WSCTF or conflict of interest with its medical advisory board members. Our 501c3 organization follows strict guidelines and even though this listing is for informational purposes only it is provided on the WSCTF website and as such we will adhere to our policy. Click here to view our conflict of interest policy. Physicians, or members wanting to list their physician can sign up here and we will receive your submission by email. You will receive confirmation once we receive it. Verification may take 24 hours. Once verified the physician will be added to the Syringomyelia & Chiari Multidisciplinary Physician Directory. We are always looking to add more medical professionals to our expanding 501c3 organization to help us educate the world about Syringomyelia and Chiari. If you are a physician, registered nurse, physical therapist, nurse practitioner, or physician assistant interested in joining, would like to request more information, or if you would like to help us increase education and understanding of Syringomyelia and Chiari in a peer to peer manner to other medical professionals please contact us using this same form. We will be in touch! Thank you! Please include your title (ex: Dr. John Smith). Please indicate your area of expertise (Neurosurgery, Primary care, Pediatrics, Cardiology, Pulmonology, Ob-gyn, Gastroenterology) etc. Medical Advisory Board. The information provided on this website is meant to complement and not replace any advice or information from a healthcare professional. ​Please be advised that this website does not accept or host any advertising. Educational sessions are taught by registered nurses and physicians. The authors of this website are medical professionals. The information on this website does not substitute for medical care. Information on these pages is based on biomedical research, published by peer-reviewed journals, and international research conferences. Additionally, in some cases anecdotal information is provided by subscribers to a mailing list and/or members of the Worldwide Syringomyelia & Chiari Task Force organization. A listing of Syringomyelia & Chiari research is available.